This is a really funny Christmas e-card in which three silhouettes are traveling across the desert. 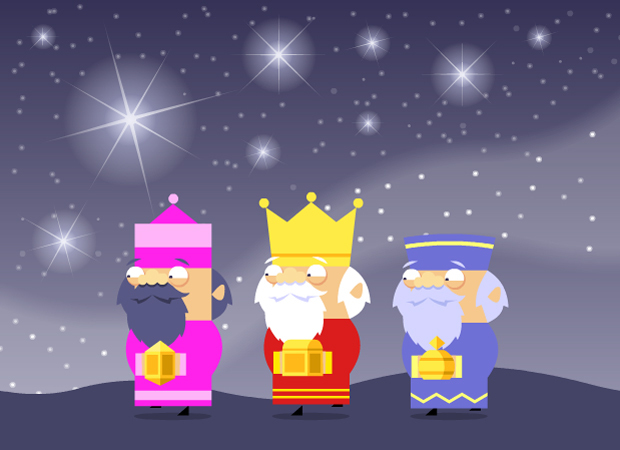 When the eCard zooms in we can see the three kings traveling to Bethlehem bearing three gifts. As they march along one of them shouts "Look... a sign! ", the camera zooms out a little and we can see a big road sign with Bethlehem marked on it in the middle of the desert! Finally "Merry Christmas!" shoots into the screen to end this ecard.